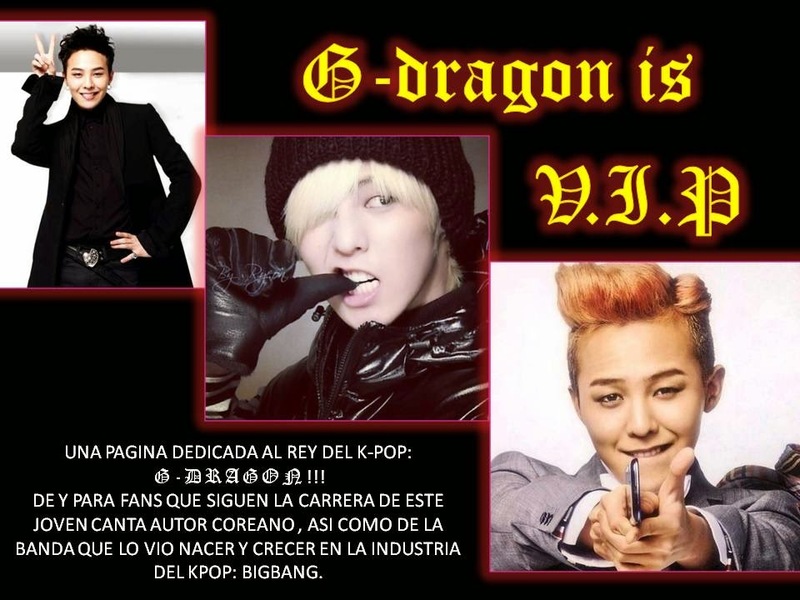 G-DRAGON IS V.I.P: EPIK HIHG: LOS GENIOS DEL HIP HOP EN COREA. HOLA A TODOS HIGH SKOOL QUE NOS VISITAN. 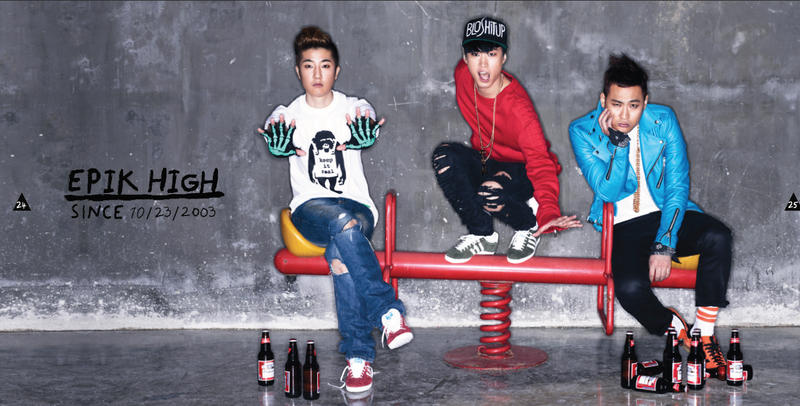 PUES ESTA VEZ DECIDÍ HACER UN ESPECIAL DE ESTE GRUPO DE HIP HOP QUE SE ACABA DE UNIR A LA FAMILIA YG: EPIK HIGH. Y POR QUE ME DECIDI A HACERLO? PUES RESULTA QUE ESTABA ESCUCHANDO MÚSICA EN MI CEL (Y TENIA EL ALEATORIO ACTIVADO), EN EOS MOMENTOS COMENZABA LA CANCIÓN "NEW BEUTYFUL" DE HEPIK HIGH, Y AL PRESTARLE ATENCIÓN ME DI CUENTA QUE ES UNA MUY BUENA CANCIÓN, ASÍ QUE DECIDÍ ESCUCHAR DISCOS MASA VIEJITOS DE ESTE GRUPO (DE MUCHO ANTES DE QUE SE UNIERA A YG) Y ME QUEDE SIN PALABRAS.... QUE BUENA MÚSICA ES LA DE HEPIK HIHG!!! SI TE GUSTA EL HIP HOP CLÁSICO EN TODA LA EXTENSIÓN DE LA PALABRA NO PUEDES DEJAR DE ESCUCHAR AUNQUE SEA UN SOLO CD DE ELLOS Y SINO ES UN GENERO MUY DE TU AGRADO, TOMATE EL TIEMPO AUNQUE SEA PARA ESCUCHAR SU ULTIMO MATERIAL "99", QUE SE PODRIA DECIR QUE ES UN POQUITO MAS LIGHT QUE LOS ANTERIORES. 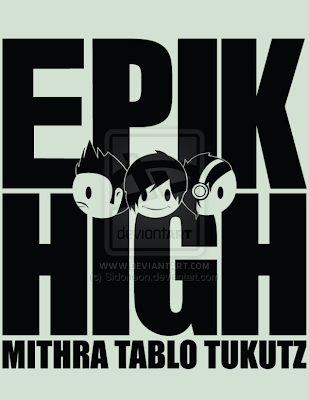 EPIK HIGH SE FORMO EN EL 2003, CONFORMADO POR DOS MC´S TABLO Y MITHRA Y UN DJ, DJ TUKUZT. ESE MISMO AÑO LANZARON SU PRIMER CD "MAP OF THE HUMAN SOUL", POR DESGRACIA NO TUVIERON MUCHO ÉXITO YA QUE EL HIP HOP NO GOZABA CON MUCHO APOYO EN COREA EN ESE AÑO. PARA EL 2004 LA BANDA LANZABA SU SEGUNDO ÁLBUM "HIGH SOCCIETY" CON EL CUAL COMENZARON A DARSE A NOTAR EN LA INDUSTRIA DE LA MÚSICA EN COREA. PERO NO FUE HASTA EL 2006 CON SU CD "SWAN SONG" CUANDO REALMENTE TUVIERON EL ÉXITO QUE ESPERABAN, CONVIRTIÉNDOSE EN UNA DE LAS BANDAS DE HIP HOP MAS IMPORTANTES DE COREA, GRACIAS A TEMAS COMO "PARÍS" Y "FLY"; ESTE ULTIMO TUBO TAL ÉXITO QUE FORMO PARTE DEL SOUND TRAKC DEL VIDEO JUEGO "FIFA 07" Y DEL JUEGO DE BAILE "PUMP IT UP". CON SU CUARTO ÁLBUM DE ESTUDIO "REMAPPING THE HUMAN SOUL" VENDIERON MAS DE 90,000 MIL COPIAS EN COREA DURANTE SU PRIMER MES, LLEVANDO A EPIK HIHG AL PRIMER LUGAR DE POPULARIDAD EN VENTAS. ALGUNAS CANCIONES DE ESTE DISCO FUERON CRUEL MENTE CENSURADAS DEBIDO A SU CONTENIDO DE TEMAS SEXUALES, CRIMEN, GUERRA, EDUCACIÓN, RELIGIÓN Y DE SOCIEDAD; POR LO TANTO LA BANDA DECIDIÓ TOMAR COMO ESTANDARTE LA FRASE "NO GENERO, SOLO MÚSICA"
EPIK HIGH ALCANZO EL PRIMER LUGAR EN VARIAS LISTAS DE POPULARIDAD CON SU TEMA "FAN", UNO DE LOS MAS REPRESENTATIVOS DE ESTA BANDA (SE PODRÍA DECIR QUE ES SU HIMNO). DURANTE MAYO DEL 2007 LANZARON OTRO GRAN SENCILLO "LOVE, LOVE, LOVE", GRACIAS A ESTE TEMA CONSIGUIERON LLEGAR AL TERCER LUGAR DE LOS CD´S MAS VENDIDOS EN COREA, CON 120, 301 MIL COPIAS VENDIDAS. EN EL 2008 LANZAN SU QUINTO ÁLBUM "PICES, PART ONE" DEL CUAL SE DESPRENDE OTRO ÉXITO ROTUNDO "ONE", AUNQUE MUCHOS FANS DECLARARON QUE LA MÚSICA DE EPIK HIGH EN ESTE CD CAMBIO DE FORMA RADICAL, A UN GENERO MAS "POPULAR". PARA EL 2009 LA BANDA SACA SU SEXTO ALBUM " MAP THE SOUL", SI ENDO SU SENCILLO EL TEMA OMONIMO DEL CD. LA BANDA SE DESINTEGRA EN ESE MISMO AÑO DEBIDO A LA ENTRADA AL SERVICIO MILITAR DE DJ TUKUTZ Y DE MITHRA EN EL 2010. DURANTE ESTE PERIODO TABLO DECIDE FIRMAR CONTRATO CON YG, CON EL CUAL SACA DOS MINI ÁLBUM "FEVER´S END PART1 Y 2". DEL CUAL SE DESPRENDEN TEMAS DE GRAN ÉXITO COMO "BAD" Y "TOMORROW", ESTA ULTICA ACOMPAÑADA POR TAEYANG DE BIGBANG. PERO EN EL 2012 LA BANDA VUELVE A UNIRSE Y FIRMA CONTRATO CON LA EMPRESA YG, SACANDO SU SÉPTIMO CD DE ESTUDIO "99"; DE ESTE MATERIAL DISCOGRÁFICO DERIVAN TEMAS GRANDIOSOS COMO "UP" LA CUAL CANTAN CON PARK BOM DE 2NE1, "DON´T HATE ME" Y "IT´S COLD" EN STA ULTIMA CUENTAN CON LA COLABORACION DE LEE HI. LA MÚSICA DE EPIK HIHG ES CONOCIDA POR SER TANTO LÍRICA COMO UNA PIEZA DE LITERATURA, AL MISMO TIEMPO DE SER INGENIOSA Y PARADÓJICA EPIK HIGH ES ACTUALMENTE UNA DE LSA BANDAS MAS IMPORTANTES DE HIP HOP EN COREA. LES DEJO EL ULTIMO CONCIERTO QUE DIERON PARA PROMOCIONAR SU COME BACK A LOS ESCENARIOS. QUE LO DISFRUTEN!!! !